I think what a lot of people who are anti Frank are missing is he has already changed Fiji – whoever wins the election, whether its him or someone else will have a different Fiji to deal with. 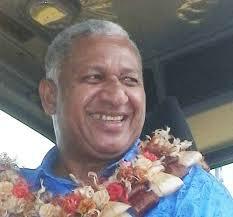 Talk of going back is just delusionary, and as so far it doesent appear that anyone in opposition has realised that and mounted any sort of ‘tommorrow’ instead of ‘yesterday’ campaign, which is not a great commmentary on the standard of politicians or Chiefs in Fiji at the moment, the odds appear to be in Franks favour. Even I can think of a campaign strategy that would put pressure on Frank, mightnt win but would put more credible pressure on him without attacking him personally, which I think is just counterproductive, than we are currently seeing. Think of the ‘Friends, Romans, Countrymen ….so were they all honourable men’ speech in Shakespeare’s Julius Caesar by Brutus as the template of a clever strategy focusing not on the past, or even the most recent past i.e. Franks time, but tomorrow as the template. Sort of a thanks Frank you have done a great job getting us to here now its time for a mature democracy to take over. Trouble is there isnt a Brutus in Fiji. So looks like he will win which then takes us to your adage re power and the point to be taken there is as far as I know only one person has successfully made the transition from nation healer to PM without becoming a Dictator and that was Lee of Singapore. So to sum the odds are with Frank to win the election, but looking at history the odds are against him to make the transition – which doesnt mean he cannot or will not make it dont forget he has already defied the odds to get this far, it just means History tells us it is probably unlikely.